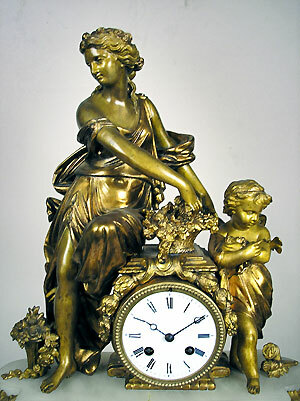 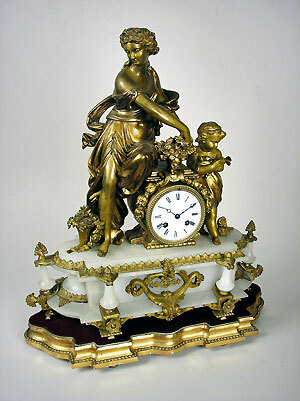 This is a French figural mantle clock with a female figure and a girl leaning against a table containing the clock movement. 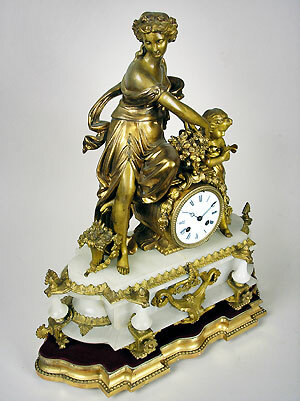 There are baskets with flowers and a swag around the white enamel dial. 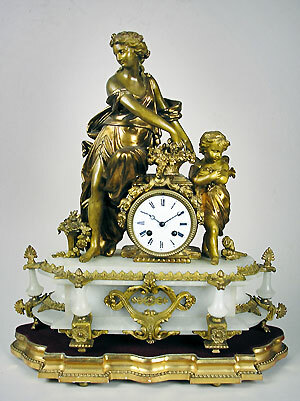 The base is alabaster decorated with ormolu. This clock has an eight-day bell striking movement stamped "E.D" and the giltwood pedestal is covered with velvet.